Pre-marital counseling is a specialized, structured type of counseling designed to assist couples by improving and strengthening their relationships, and better preparing them for lifelong commitments. Research has shown that couples who seek and engage in pre-marital counseling gain more skills to improve communication and better understanding of each other. They are realistic in their expectations and more confident in their ability to face future obstacles together. Couples establish a positive attitude and are more satisfied in their relationships. 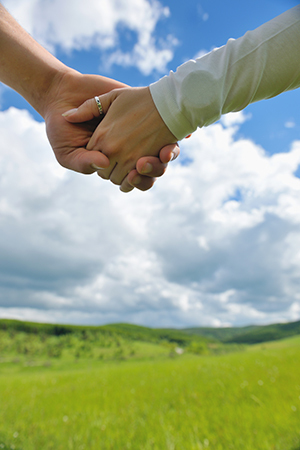 In our pre-marital counseling we apply the Prepare/Enrich program. A 30 plus year, scientifically proven and updated program with 4,000,000 couples who have benefited from it. To learn more about the Prepare/Enrich program please use this link now. Who can benefit from the Pre-marital counseling? Couples in a long term relationships, engaged to be married or newlywed will benefit the most from pre-marital counseling. Some couples who wish or are in need of continuing counseling after the program is over, will discuss it with the counselor at the end of the program and may continue counseling for a separate, set fee. Couples who wish to participate in the Pre-marital Prepare/Enrich program will meet with the certified counselor for an hour intake. In this meeting they will get to know the counselor, discuss goals and expectations, and will develop a customized plan to best fit the couple’s needs. The couple will then independently complete a survey at home, where they each log in to the Prepare/Enrich website and answer a structured questionnaire to identify areas of strength and potential area of growth unique to each couple. Results of each partner answers will be sent to the couple and to the facilitator. The couples will meet with the facilitator four more times for an hour each session, to discuss results, learn techniques and concepts related to their needs and work toward achieving their goals. One more meeting will be devoted to summarizing, evaluating and looking forward to implementing the techniques and concepts that were discussed in the process. What is the couple’s requirement when taking this program? Couples who want to benefit from this program will need to complete the survey. Occasionally there will be homework assignments to practice what was learned in the session. The program consists of a total of six hours, meeting with the certified counselor (intake, process, summary). The couple will need to devote time at home to complete the survey and practice homework. Materials include the survey, survey results and couple workbooks (one per partner). Fee of $950 includes meeting in the office with an experienced certified counselor for 6 hours, survey fee, detailed reports of results and a set of couple’s workbook (one per partner). To start benefiting today from pre-marital counseling contact me through our secure email or schedule an appointment. For your convenience we have evenings and weekends available. We also offer 24/7 online scheduling or friendly office staff that is available to assist you during business hours.